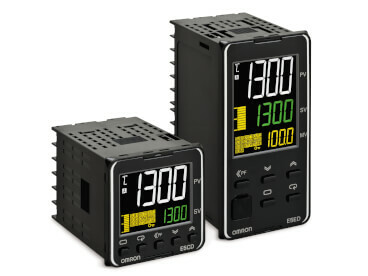 We are introducing the E5_D series - the next generation of controllers built on the successful E5_C platform. It is designed to achieve optimal and automatic temperature control without human intervention. Our E5_C series substantially raised the bar for temperature control in the past five years thanks to its user-friendliness, high precision and highly reliable control. Now, the E5_D series - the next generation of controllers built on the successful E5_C platform - is designed to achieve optimal and automatic temperature control without human intervention. In fact, from now on all typical adjustments made in the field by experts are automated using Artificial Intelligence (A.I.). 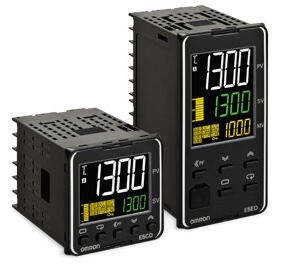 The E5_D is based on the E5_C platform so the basic features are the same (50msec control period, universal inputs measurements Thermocouples/Pt100/linear, and more) but with a draw-out structure to make maintenance even easier. On a conventional sealing machine temperature sensors can often be located too far away from the sealing surface of the heating bar. This causes a difference between the temperature of the sealing surface and the temperature that was actually being controlled. 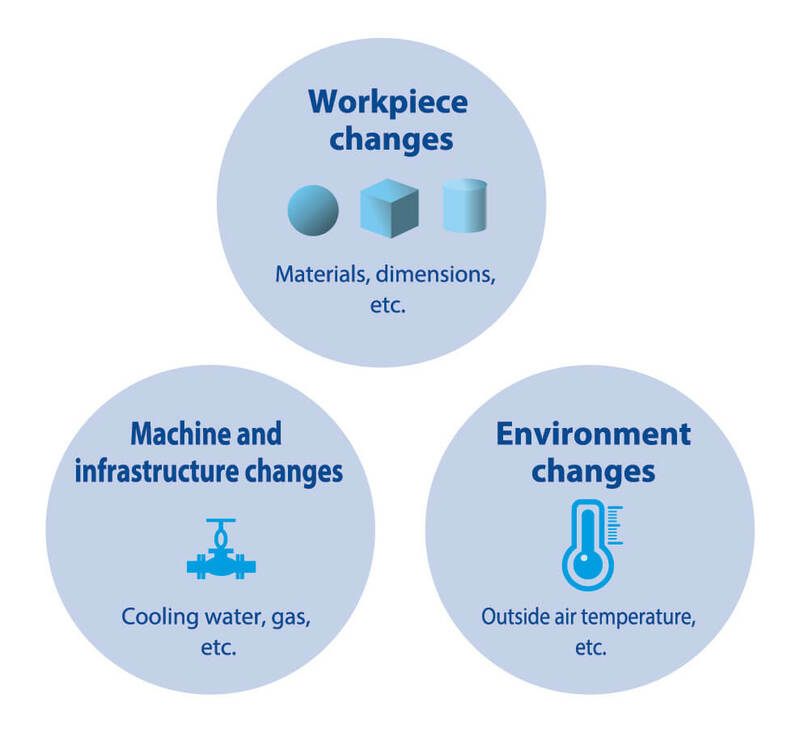 This temperature difference and resulting sealing failures, increase as the packaging speed increases and also in correlation with thinner packaging materials. adopting special algorithms (automatic filter adjustment function) built-in E5_D, specifically developed to suppress temperature variations. The result is a better sealing quality of the packages. 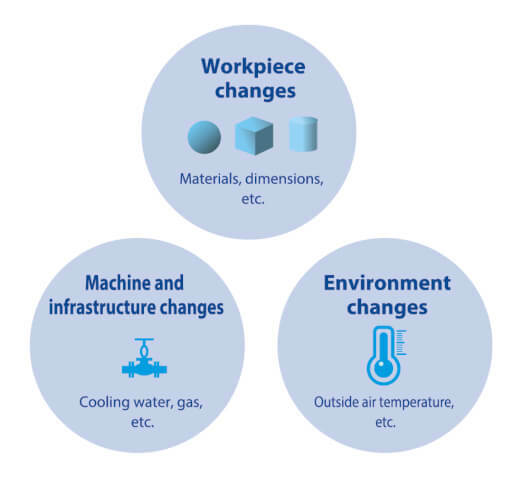 On a water-cooled extrusion molding machine, increasing the speed often leads to temperature variations due to various factors such as the material compound and cooling water. For the human operator this means repeatedly making valve adjustments to stabilize the quality. However, it is really difficult to achieve high speed production while also maintaining the quality. Not any more with the E5􁂒D. The water-cooling output adjustment function suppresses the temperature variations to a minimum and raises the production capacity while maintaining quality. Both are capable of measuring a wide range of signal types from different sensors (12 different types of thermocouples, Pt100/jPt100 and different current/voltage linear signals). Control output types are, depending on the model, relay output 5A/250Vca, and Voltage output (12Vcc to drive external SSR). As with the E5_C series, there are basic models without additional optional functionality as well as more advanced models supporting additional functionality such as event inputs, RS485 serial communication, and heater burnouts. Power supply ranges: 100 to240 VCA or 24VAC/DC.